Spring is blooming all around but I've been deeply buried in a big project, as well as preparing for a week of blissful creative communing. I'll be teaching at The Prairie, in just about a week...April 25th. We're set for a lovely retreat weekend, there. If you've never been, believe me, it's a gorgeous place to take classes. ...but the accomodations are sweet, as well. This is the little cottage I stayed in, last visit. This is another view that includes the big house. The shabby chic loveliness is to die for! You see what I mean...right? So, it's not too late to register for classes. I'll be teaching two brand new ones, as well as a class I've not offered in a long time. My friend, Diane Cook, will be teaching, as well. You can check out the offerings, here. 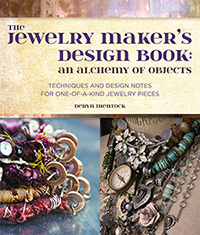 It's going to be a fabulous weekend of jewelry making. I have raffle winners! Before I name them, I'd like to thank you all from the bottom of my heart, for participating in this. Thanks to you, I have a nice check to send off to Care Net. It means a lot to me...and it means a lot to the women who receive care from Care Net. Thank you! If you are already a student of this class and would like credit towards my next class (a brand new online resin class) please let me know! For you jewelry winners: I'll won't be able to send the jewelry prizes out for another week. For you class winners: Please email me, asap, if you're already a member of The Build Zone or if you've already taken it. If not, I'll be sending out the class info, today. For you tutorial winners: I know some of you may already have some of these tutorials; if that's the case, please email me asap. Thank you, again, for participating. You guys are the best! Raffle day...she comes! April 8th was my original day to draw for my Big Raffle but a little kink in my plans has me moving the big day up to April 5...this Friday...in a couple of days. I hope y'all will join me in supporting a fabulous cause, for women. Care Net Pregnancy Center of NW Houston is holding their annual fundraiser Walk for Life. As a privately funded organization, this is a really important event for Care Net. The services that they provide for women and babies is top notch: referrals for housing, food, baby supplies, adoption services, doctors, etc. ; ultrasounds; cribs, clothing, counseling, classes and so much more. They're a fantastic group of people who care about women, babies, dads and families. I'm going to raffle off some fab prizes and you can join in for only $10 per ticket. Buy as many tickets as you like. All payments will be through Paypal. ALL of the proceeds will go directly to Care Net NW. I'm doing this through my blog so I can keep track of the ticket holders, draw winners, and then I'll deliver a nice, fat (hopefully!) check to Care Net NW. All you have to do to purchase is click the "Buy Now" button. It will take you to Paypal where you can complete the transaction. Raffle is closed...thank you! I wanted to offer lots of prizes so you'd have lots of chances to win. There's some pretty good stuff here, including 5 spots in my current online class, The Build Zone. I'll randomly draw winners Friday, April 5! Best of luck to you and thank you for your support. You guys are the best!